Alopecia is not life threatening, or contagious but can be traumatic. It’s where your immune system attacks your hair follicles, causing your hair to fall out of your scalp or other parts of your body. 6.8 million people in the US are affected with Alopecia. Jamie Elmore has been a licensed hair stylist and salon owner for 26 years. She first noticed her hair falling out in 1993 after having her baby. Over the next 10 years, her condition escalated to the point that she went to the doctor and was diagnosed with Alopecia. 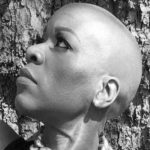 Here’s Elmore’s story after she received word of her diagnosis with Alopecia, presented at Seattle’s Griot Party, a celebration of storytelling to heal for communities of color. Elmore is also founder of the Alopecia Support Group. Special thanks to Logic Amen for this story.